Canterbury’s range of innovative sporting apparel combines ground-breaking design with state-of-the-art fabric technologies, and the Team Short is no exception. Made for durability and on-field workouts, this 100% polyester short comes with a water-resistant and anti-static finish so you can train or work out in the most challenging conditions in comfort and style. The 50mm perforate side panel provides outstanding breathability and the short offers great fit and form, allowing you to move and stretch without restriction. 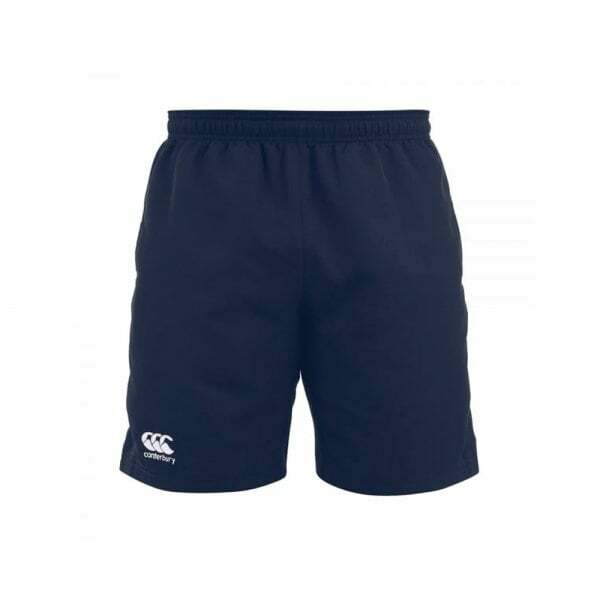 The simple design makes them easy to pair with any colour shirt, and the embroidered CCC logo in white helps you stand out as one of Canterbury’s well-established community of fans and players.